With Pfizer's development and marketing of heart-drug Lipitor (atorvastatin), the pharmaceutical company broke all records of sales and revenue, creating the world's best-selling drug of all time. One of several statins, or cholesterol-lowering medicines, Lipitor and others in its category has changed the face of heart-disease treatment over the past 20 years. In 2010 sales of statin drugs were over $15 billion a year around the world. Merck wants to give Pfizer's Lipitor a run for its money, and it's putting its eggs in several heart-drug baskets. Within the next 4-5 years, the company plans to roll out 3 new heart medications, 2 in the next year alone. Of this focus on heart medicines, Jeff Chodakewitz, senior vice president, Late Stage Development, Merck Research Laboratories said, "Merck remains committed to research to bring forward innovations in cardiovascular disease, which remains the leading cause of death worldwide." The fact that the company is ready to apply for FDA approval for vorapaxar is Lazarus-like, since the drug was nearly dead on arrival. An anti-clotting drug, Merck initially found that it reduced risk of heart attack and stroke from heart disease or heart surgery. Yet in a late clinical trial, with 26,499 patients with a history of heart attack, stroke, or heart disease, heart attacks and strokes were reduced by the drug--but the rate of intracranical bleeding doubled. So in 2010 it looked like the end. And it was quite a disappointment, for Merck had envisioned vorapaxar as a 'blockbuster' drug--an alternative to Coumadin (warfarin), one of the most prescribed heart drugs in the world. Some had predicted that sales could be as high as $5 billion a year. Merck was loath to let the drug go, so the CEO's response was to ratchet up the new-drug development budget, announcing plans to spend $8.5 billion in research in 2011. In the meantime, just this past June the FDA denied approval for a similar drug, this time from Johnson and Johnson, called Xarelto, citing in part concerns about bleeding. But Merck's commitment to its drug paid off, for at the end of August the company announced that it would go ahead with seeking approval, just with a more limited scope than it had originally planned for the medicine. Their confidence was based on a new analysis of the data published in The Lancet under the no-holds-barred title "Vorapaxar for secondary prevention of thrombotic events for patients with previous myocardial infarction: a prespecified subgroup analysis of the TRA 2°P-TIMI 50 trial." Researchers reached their new conclusions by re-analyzing their original trials, looking at only a subgroup. The new study analyzed only 17,779 of the patients, specifically those who had had heart attacks. Clearly, given the intracranial bleeding, the drug is no longer considered appropriate for stroke patients. The new study found, after 2.5 years, that rates of cardiovascular death, heart attacks and strokes were significantly lower in the group taking vorapaxar. More importantly, in this group, the drug did cause some increase of bleeding, but not intracranial bleeding. Considering that estimates by visiongain predict that the world market for blood thinners will be $24.4 billion in 2015, Merck's ability to launch vorapaxar can only help their bottom line. Niacin/laropiprant (mk-524a, Tredaptive) is a cholesterol drug that has been shown to lower LDL, or 'bad cholesterol' levels, raise the 'good cholesterol'/HDL levels, and lower triglycerides, a major form of fat stored by the body in the blood. The crucial component of the drug is extended release niacin, which is a B vitamin that, in high doses, raises those HDL levels. Other companies are onto the usefulness of niacin. Abbott Laboratories has turned the vitamin into pill form and sold it under the name Niaspan, and has also combined it with a statin (a standard cholesterol-lowering drug, like Lipitor) to create a combination known as Simcor. But niacin causes an unpleasant reaction known as the niacin flush, because it causes the small blood vessels to dilate, yielding a red 'flush' in the skin. That is often accompanied by a painful itch, so it is difficult for people to take enough of the naturally occurring vitamin to reap the health benefits. Merck's innovation was in creating a chemical, called laropiprant, which has no active heart ingredient, but counteracts the flushing. Initial trials looked good. A 24-week study of nearly 1,600 patients found that, compared with placebo, the drug, which Merck planned to call Cordaptive, yielded an 18% decline in LDL levels, a 26% decline in triglycerides, and a 20% increase in HDL levels. But the FDA rejected the drug 2008, stating it needed more information--and the name Cordaptive was denied, as well. At the time the rejection was both a shock and a tremendous disappointment. Bloomberg Businessweek said there had been predictions that the drug could earn over $1 billion in sales. Speculation was that the FDA's concerns were with the laropiprant, a new chemical with unknown long-term effects. The FDA's issue with the name is only speculation, as well, but one theory is that the 'cor' in Cordaptive implied--inaccurately--that the new drug was connected chemically to another of Merck's cholesterol drugs, Zocor. So it was back to the drawing board--but not completely. The drug is approved in over 45 countries. In 2009 Merck introduced Tredaptive in foreign markets that included Mexico, Germany and the UK. And in response to the FDA denial, Merck began clinical trials made up of 25,000 people, due to be completed by the end of this year. 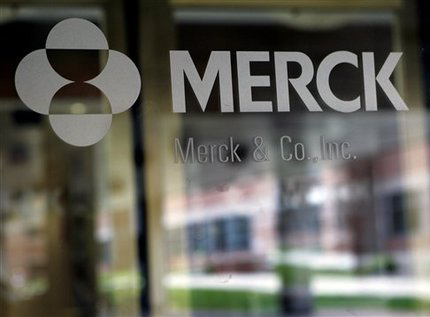 Initial results seem good, and Merck expects it will get its long-awaited FDA approval in 2013. For years already hopes have been running high for Merck's anacetrapib. The early clinical trials were positive. As the Wall Street Journal wrote two years ago, in experiments the drug improved HDL levels dramatically in a 1,600-person study. Scientists reported a 40% drop in bad cholesterol and a 138% rise in good cholesterol. And Steven Nissen, chairman of cardiovascular medicine at the Cleveland Clinic, said, "If this works, it could be as big as the statins." In November 2010, Bloomberg said anacetrapib had the potential to be one of the biggest new heart drugs to come along in two decades. By 2011, FierceBiotech, which monitors the pharmaceutical company, ran a piece calling the drug one of the top "15 top blockbuster contenders," and predicting its peak projection would be $10 billion-plus. But the process is a slow one, and it is not obvious that changes in cholesterol levels actually help prevent heart attacks and heart-related deaths. As Medical Marketing & Media put it, "The need to show real-world clinical benefit, not just a change in a risk factor, assures that [the medication] remains several years away from launch." The burden is on Merck to prove that the drug makes a difference. It has been working hard to do so. For Phase III clinical trials there were over 30,000 patients enrolled, qualifying it as one of the largest heart medicine studies ever. Begun in 2011, they are studying the impact of the drug on patients with heart disease who are already taking stains. Their purpose is to evaluate whether the changes in cholesterol levels actually make any difference clinically for patients. Merck hopes the study will be completed by January 2017 with initial results coming in by 2015. Jeff Chodakewitz noted of his company's research, "The clinical outcomes studies for these three medicines have involved or will involve more than 90,000 patients around the world. All of these studies are designed to address the important question of whether, by adding these medicines to the current standard of care, we can further reduce the risk of cardiovascular events." The answers to that question will make a world of difference to Merck and its bottom line. Check out the best selling prescription drugs in the United States from 2007 to 2012. A collection of Infographics and data visualisations on various topics in the Pharmaceutical and Healthcare industry. Are medications safe during pregnancy? How are they assessed?